Hunger Solutions Minnesota works to end hunger by taking action, advancing public policy and guiding grassroots advocacy on behalf of hungry Minnesotans and the diverse groups that serve them. We connect Minnesota’s food shelves and hunger-relief organizations with the necessary funding, technical assistance and logistical support to reach thousands of Minnesota individuals, families and children in need. 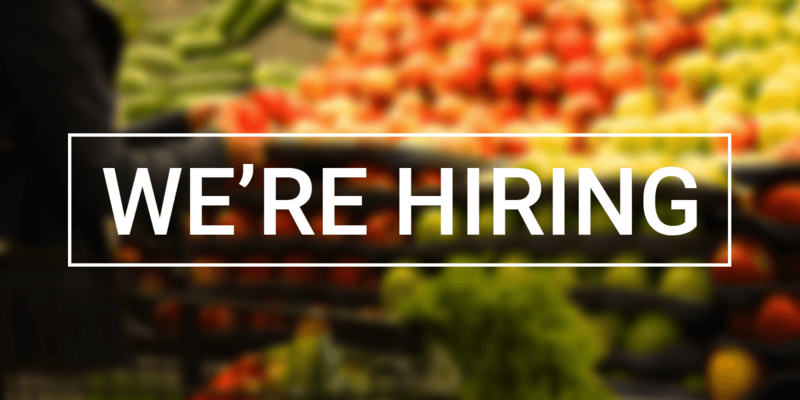 Hunger Solutions Minnesota is seeking a Development Manager to lead development efforts for all Hunger Solutions programs and activities. The successful candidate will be able to develop relationships with new and existing organization donors, prospect funding opportunities, craft funding proposals and develop related budgets in a clear and compelling manner. Serve as primary contact for existing organization donors. Maintain and develop relationships with foundation program officers and corporate foundation contacts. Engage in ongoing prospect research, Minnesota family foundations, national funding institutions, corporate foundations and individual donors. Write and submit grant proposals and supporting documents to current and potential funders. Assist organizational leaders in development of a comprehensive individual giving program. Develop and implement strategies for ongoing discovery, cultivation, solicitation, and stewardship of donors and prospects. Work with Business Manager to maintain financial documents and other supplemental material required for grant proposals. Oversee scheduling of program audits and site visits. Maintain annual grant management calendar to monitor prospects, track upcoming grant deadlines and successfully follow-through with all funding reporting requirements. Participate in short- and long-range planning, consistent with Development and Communications goals and fundraising best practices. Annually, work with leadership to create and implement a Development Plan with clear income goals, benchmarks, and timelines. Assist leadership in developing effective stewardship programs and ensure donors receive the necessary recognition and thanks for support. Work with leadership to plan and manage fundraising and donor recognition events, including the annual Rising Tides fundraiser. Manage donor engagement activity in Salsa database, including but not limited to, timely recording of contacts made, visit notes and other discovery information. Run donor reports in Salsa to generate appeal mailing lists. Prepare mailing list data in order to specially recognize major donors, staff contacts and other discreet categories of donors. Manage data so that donor contact information can be uploaded into the database and reflected in each donor record. Generate monthly donation reports and measure fundraising progress against forecasted income. Reconcile donation revenue with Business Manager to adjust income projections and expenses. Serve as lead user of the Salsa database and manage database training for other staff. Ensure accuracy of Salsa Users Guide and update the document as needed. Excellent grant writing, analytical, and research skills. Self-motivated, detail-oriented, and highly-organized. Ability to work well under pressure and meet regular, overlapping deadlines. Excellent communication skills with the ability to effectively collaborate with colleagues. Ability to work with minimal oversight, set goals and play an important role in short and long-term development planning. Interest in and passion for hunger relief and public policy advocacy. Creative and flexible in responding to changing priorities and emerging needs. Ability to develop and maintain a network of contacts and seek out potential partners. Send a cover letter, resume, and writing sample to Leah Gardner, at lgardner@hungersolutions.org.